Feeding you with new music, daily. ‘Hibou’ or ‘eee-boo’ as it’s pronounced, is the performance name of Peter Michel; the singer songwriter from Seattle who’s making waves over blogs on the internet with his music. 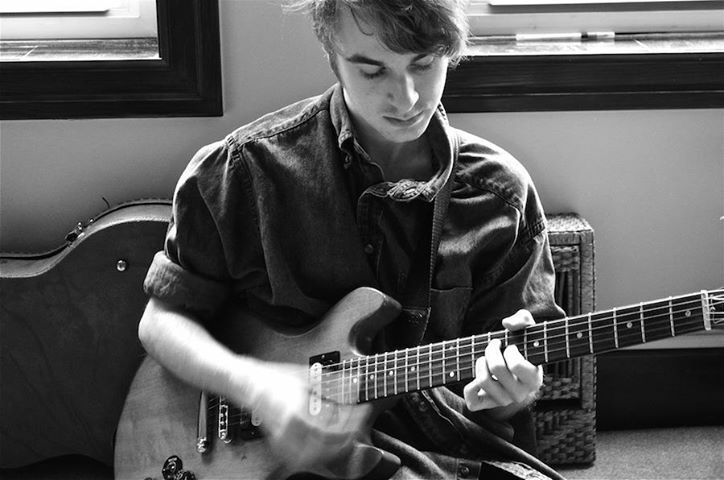 Having played with Surfer Blood just a few weeks ago, Hibou could easily be the more milder and reserved younger brother to that of New Yorkers, but he could very soon be heading in a similar direction as his fellow Americans. Whilst his sound is typically, ‘surf-pop’ or as his Facebook page says, ‘ethereal surf poppy love’, there are also hints of early Vampire Weekend and Bombay Bicycle Club in there. The ‘Dunes’ EP, which was released last year, gives of a consistently infectious, happy go lucky kind of attitude. Since then Hibou has released a single, ‘Hide Away’, which is a step in the right direction as it bursts with life whilst retaining those catchy, twangy, 80s-esque guitar riffs and tender, hazy vocals. Live, it’s another question. With a helping hand from his band, Michel remains shy and coy behind the mic whilst his music evolves and effervesces with energy. He’s got the look of a musician; the floppy hair, the baggy denim shirt and his wondering fingers up and down the neck of his guitar. Now all he needs is to be signed to a record label. Hibou, nice to speak to you. Your music has such a feel-good factor. How do you keep up such positive energy? I suppose living in Seattle I feel a need to block out the winter overcast and rain with something. Perhaps if I lived in California my music would be dark ad dreary. Coming from Seattle, is there a big music scene out there? Yeah there is, it can be a little overwhelming sometimes, but for the most part it’s been really beneficial. There’s always a show to go to or a new band to see or play with. As a solo artist, how important is your live band when you play gigs? Very important, especially since the lineup still isn’t 100% solid, it’s hard to find musicians who can just drop everything to tour. At every practice I’m still working on what we can tweak to make it sound perfect. Having recorded the Dunes EP, did you enjoy that studio time or do you prefer playing to a live audience? They’re very different experiences, I don’t think I like one more than the other. When I’m recording I can just be in my little space and slave over the production until the sun comes up, which I love. And for the live shows I can get out all of the bottled up energy I have from the recording process. Are there any big plans for 2014? I’m working on the full length right now, and after that is released hopefully we will start touring lots and lots. I would say most of it is a mystery at this point though.